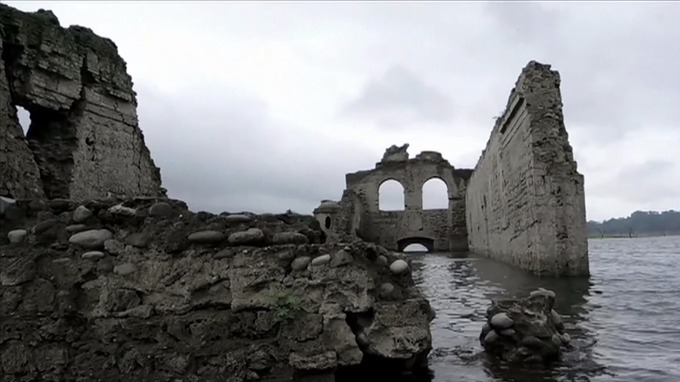 Due to the severe drought in Southern Mexico this year, a church believed to be more than 400-years-old has re-emerged in the Grijalva River. 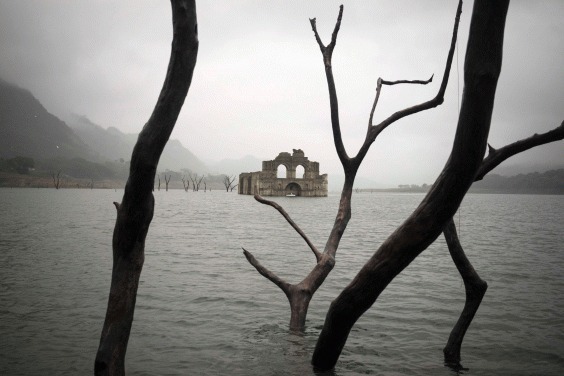 The water level in the Grijalva River has dropped 25 metres exposing the 16th-century church. The church is loctaed in the Quechula locality, and is believed to have been abandoned after an outbreak of plague in the region. The church which had emerged once before, in 2002, is 61 meters long and 14 meters wide, with walls rising 10 meters . The bell tower reaches 16 meters (48 feet) above the ground and was originally built by a group of monks headed by Friar Bartolome de la Casas.